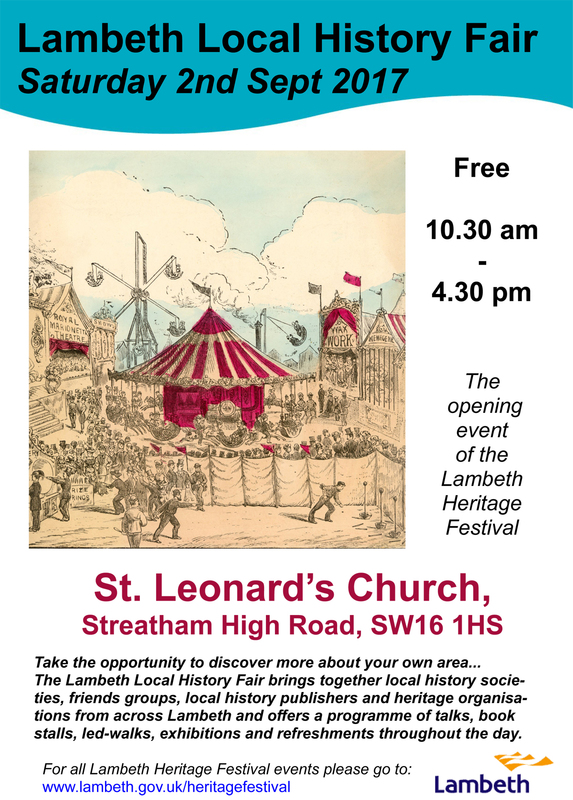 The Lambeth Local History Fair, which kicks off this year’s Lambeth Heritage Festival, brings together over 20 local history societies, friends groups, local history publishers and heritage organisations from across Lambeth and offers a programme of talks, book stalls, led walks, exhibitions and refreshments throughout the day. Guided tours of the crypt, the church yard and also botanical tours of the churchyard will be running through the day. All events are free and no booking is required.